CINCINNATI – A new Downtown eatery is banking on fast service and fresh ingredients to draw big lunchtime crowds, according to one of its owners. Zablong bakes oblong-shaped pies made-to-order with fresh ingredients in under two minutes, Young said. The eatery opened to lunch crowds during the last week of July and will hold a weeks-long series of grand opening events starting Aug. 10. 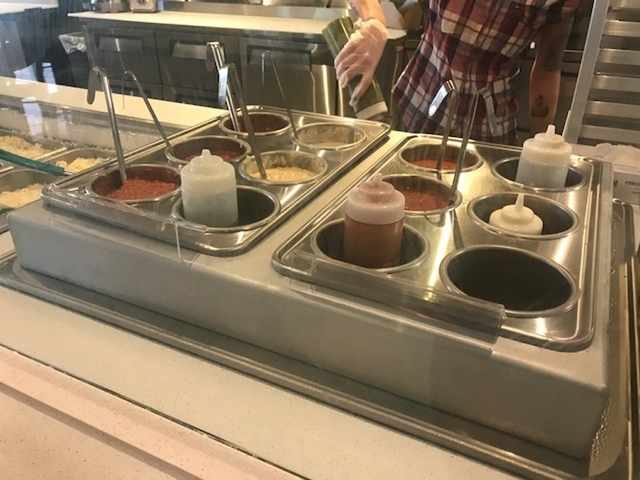 Zablong's setup is similar to Chipotle's. 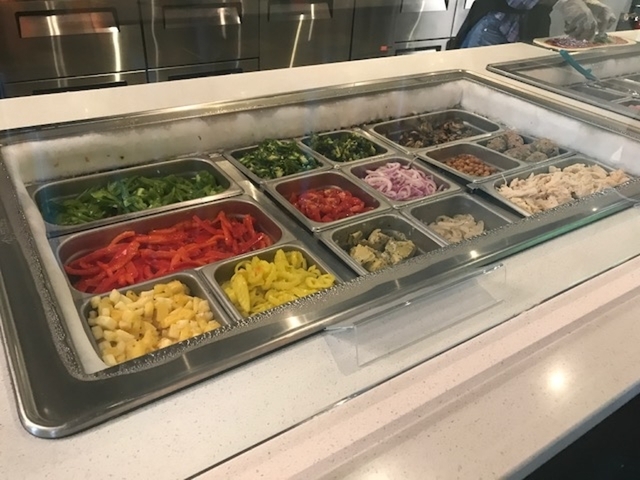 Customers walk in and select toppings from behind a counter. They can order “classic” pizzas or choose to make their own from any combination of up to nine sauces, three cheeses, 10 vegetables and approximately 20 different meat and garnish options, Young said. Customizable salads are also on the menu. Zablong will start selling craft beer and wine later in the month. The location also offers guests entertainment in the form of a touch-screen television and “selfie station” to display pictures of themselves in the restaurant. Zablong’s Downtown location is its second. Young, along with fellow business partners and investors, opened the first Zablong in Charlotte, North Carolina, in January 2016. The Cincinnati native said he opened the first store while living in Charlotte because it felt like the perfect place to launch his concept. “Charlotte is a great town and we found a spot we loved, but I always wanted to be home in Cincinnati,” Young said. Young said he found Zablong’s Cincinnati location in 2015 when he came home for his father’s birthday. 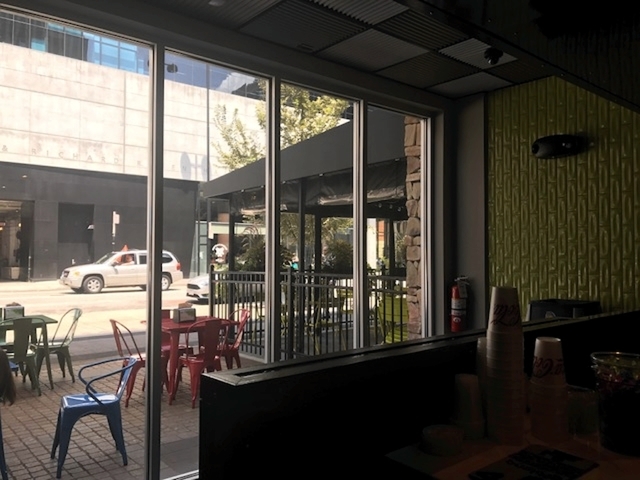 The space was part of a former El Coyote restaurant that property owners broke up into three separate spaces. Bru Burger and We Olive currently occupy the other two spots. 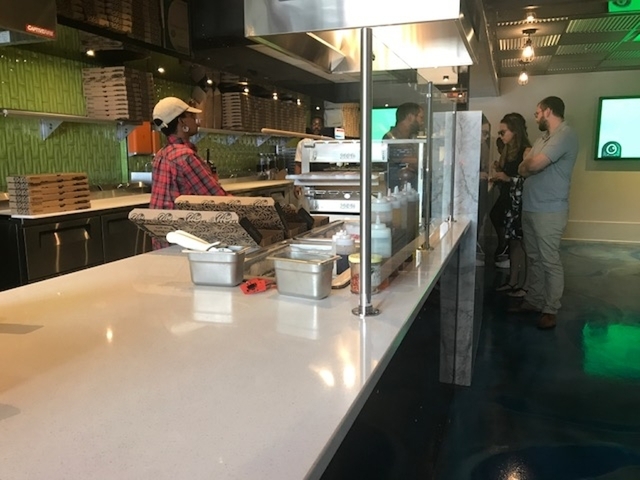 Young said he and his investors are considering adding more Zablong locations once the pizzeria is established in the Cincinnati market. For now, though, he said he is happy with the walk-up crowds at the Cincinnati location after being open for only a week. “I have enough people wandering in where we are already comparable with Charlotte,” he said.